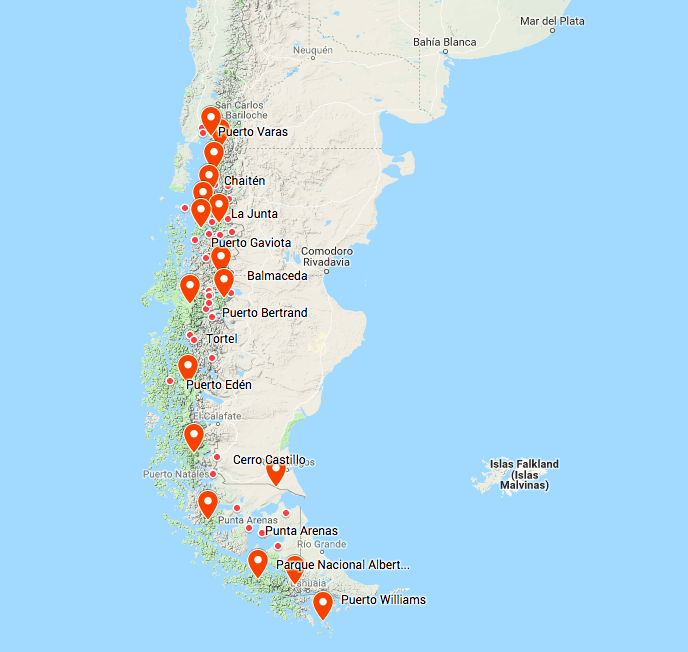 The Patagonian Route of Parks includes 17 unique natural spaces, elevated to the category of National Parks by the Conaf (National Forestry Corporation). If each of them is a paradise to explore, can you imagine a scenic trial made by 17 of them? 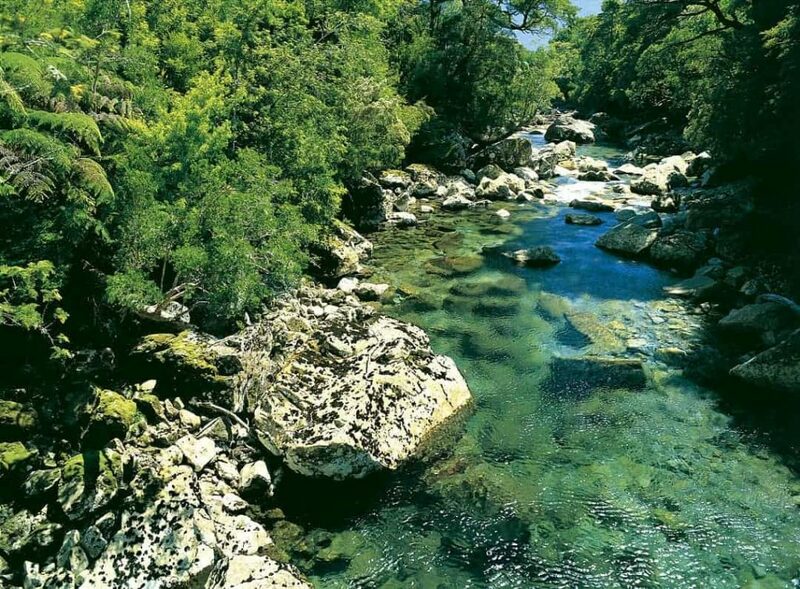 Located in the Llanquihue Province (41 ° 34’41 “S 72 ° 32’39” W), Alerce Andino is a natural protected area since 1982. It is located in the Los Lagos region, and is part of the Temperate Rainforests of the Southern Andes. It covers an area of ​​about 20,000 hectares, with more than 50 natural lagoons and ponds and an abundant fauna. Located in the commune of Hualaihué, in the region of Los Lagos and with an area of ​​48,232 hectares, the Hornopirén National Park (41 ° 55’00 “S 72 ° 16’00” W) is classified as a Temperate Rainforest Region of the Southern Andes. It stands out for its mountains and valleys sculpted by volcanic activity and glaciers. In this area, you can see two volcanoes and three main lakes among other beautiful landscapes. It was declared National Park in 1988. It is located in the province of Palena, Los Lagos Region in Chile (42 ° 35’04 “S 72 ° 29’46” W). The park has more than 325,000 ha of temperate rain forest. It was declared a Nature Sanctuary in 2005. In the X zone of the Lake District (43 ° 25’00 “S 72 ° 43’00” W), this park founded in 2005 is considered one of the last untouched sites on the planet, since its recondite location saved it from human exploitation. It has unique landscapes of great beauty, covered by Guaiteca´s cypresses. With a prolific land and sea fauna, Corcovado is almost inaccessible by land, which makes it an ideal place for hiking. Located in the Aysé province (45 ° 34’12 “S 72 ° 03’58” W), this park has as main attraction the volcano of the same name: a stratovolcano that covers a ​​40 km area. Also in Aysén (44 ° 24’16 “S 72 ° 24’13” W), this natural park was founded in 1983. 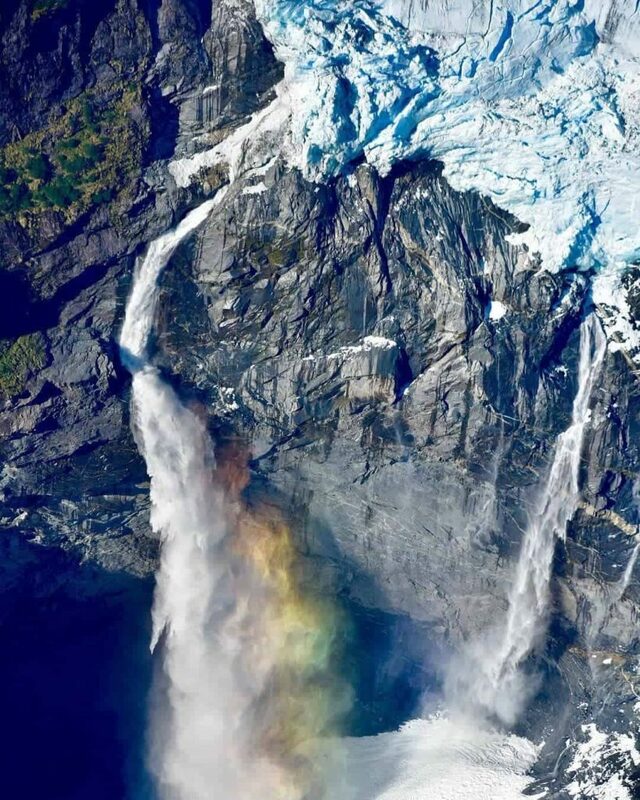 It stands out for its pristine places of lush forests, waterfalls, fjords, snowdrifts and capricious rivers. 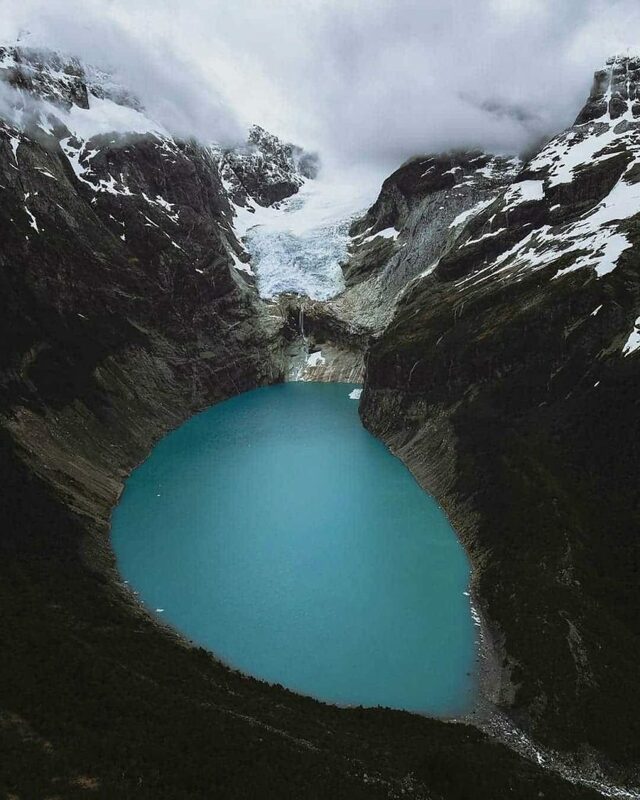 Among its most picturesque places are the Risopatrón Lake, the Témpanos Lagoon, the Hanging Glacier and the Salto del Cóndor cascade. In the commune of Cisnes of the Aysén province (44 ° 40’00 “S 73 ° 08’00” W), this park preserve almost completely the island of the same name. Its 1,576 km2 have almost not been tainted by human action. It is also located in the Aysén province, 82 km south of Puerto Chacabuco. It is the largest natural park in the region, with 1 742 000 ha. This includes its impressive glaciers, the San Rafael lagoon and the eponymous snowdrift. The Cerro Castillo National Reserve (46 ° 03’00 “S 72 ° 11’00” W) is located in Aysén, and was created in 1970. It has 179,550 ha, with a variety of environments among which stand out Cerro Castillo, with its imposing 2675 meters, and the Chiguay lagoon. The Patagonian National Park (46 ° 52’00 “S 72 ° 04’00” W) is in Aysén, being the merge of the National Reserve Lake Jeinimeni and the national reserve Lake Cochrane. It has an impressive 250,000 hectares of natural land, with a variety of flora and fauna and Tehuelche art, with more than 7 thousand years old. Bernardo O’Higgins National Park is the largest in Chile, between parallels 48º and 51º 38 ‘south latitude. It highlights the volcano Lautaro, and its 3,525,901 ha of natural wonders preserved since 1969. The Kawésqar National Park (53 ° 10’01 “S 70 ° 56’01” W) is one of the largest parks in the world and the second largest in Chile. Located in the Province of Magallanes, it is named in honor of the original ethnic group that inhabited it and that left ancient cave paintings. A visit to the Keu Ken ethnic park is a must. This is one of the largest parks in the country (50 ° 58’59 “S 72 ° 57’59” W, 242,242 ha) and the third with the most visits. It has a variety of environments gathered in one place, such as mountains, valleys, rivers, lakes and glaciers. National Geographic has chosen it as the 5th most beautiful place in the world. The Pali-Aike National Park (52 ° 06’00 “S 69 ° 44’00” W) is a protected area in the Province of Magallanes, which includes the area of ​​the volcano of the same name. It is a very suitable area for trekking, where the Pali-Aike cave, the Ana lagoon and Devil´s Lair Crater stand out. It is located at the southern end of the XII Region of Magallanes and the Chilean Antarctica (54 ° 44’57 “S 70 ° 26’23” W). It is made up of all the islands south of the Strait of Magellan and west of Navarino Island, including a portion of Tierra del Fuego. 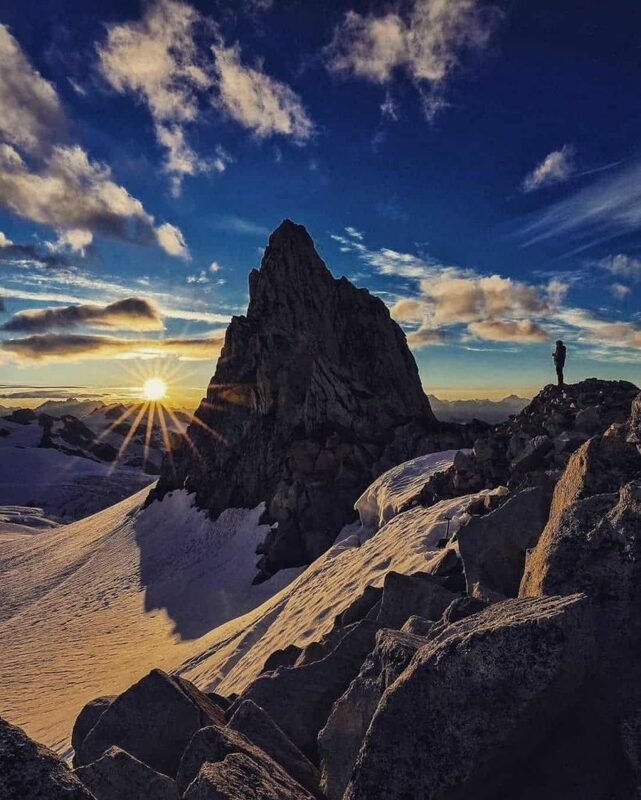 The Darwin Mountain Range and its numerous glaciers stand out in this park. This park is in the center-south sector of the Big Island of Tierra del Fuego (54 ° 50’56 “S 68 ° 49’24” W). It borders the Tierra del Fuego National Park of Argentina, so it is a Transfrontier Park or “Park for Peace”. Its attraction lies in the virgin conditions of its fauna and flora. This park is in the Wollaston and Hermite islands (55 ° 39 ‘/ 56 ° 00’S and 67 ° 00’ / 67 ° 52 ‘W), in the Chilean Antarctica. It is the southernmost point of the entire continent, and a milestone in global navigation. All the information needed for trekking and hiking through this scenic trial is compiled in the project official website (www.rutadelosparques.org), which includes more than 50 GPS-traced trails and paths. There are also detailed aspects related to transportation, lodging and a large number of scheduled trips, so that the whole family can enjoy this experience. 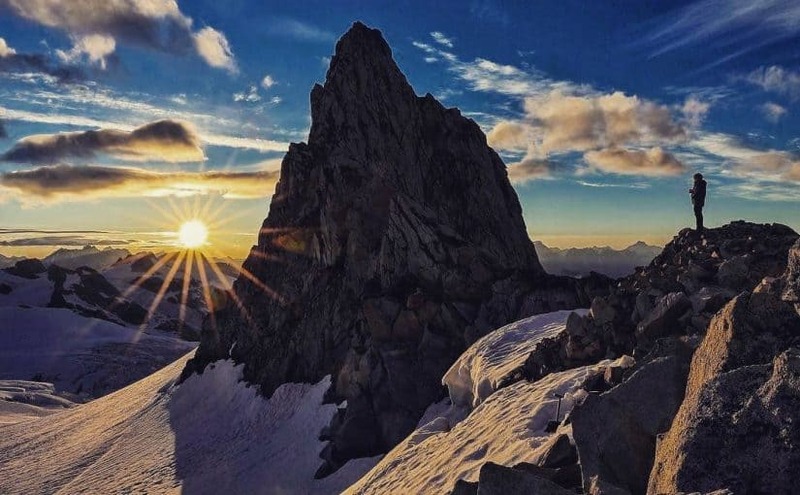 So there are no excuses, but motivations to give free rein to your hiking passion in such beautiful landscapes.